The Great British Boxer and two times World Champ tweet the news of becoming father of a baby girl. He tweet the picture of baby girl in his lap. The wife of Champion Boxer named her daughter Lamysa. 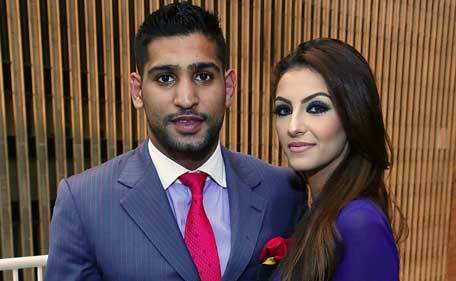 Amir’s wife Faryal gave birth to baby girl at the age of 22. The birth of baby girl taken place at 4 AM this morning. Amir married with Faryal last year in New York, he discussed that the couple decided to jointly the place of baby. The name of baby girl (Lamysa) is “Soft to Touch” in Arabic.